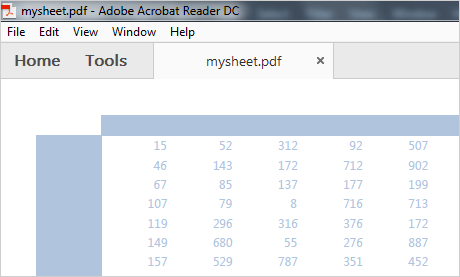 The perfect Java Swing tool to create workbooks with sheets and data tables. The library allows you to create quickly any type of spreadsheet, add to it a variety of charts, data functions and style it as you wish. The result can be exported into different formats. The API of the Java Spreadsheet library uses the familiar Workbook and Worksheet objects and you can easily build and organize spreadsheets exactly the way you are used to. The NamedRange class allows you to identify blocks of cells. Each worksheet consists of Cell instances, which you can access and customize separately. There is programmatic access to all elements in the workbook. The rich event set allows you to respond to many actions performed by the user. The spreadsheet library offers a variety of features that the users of your Java application would appreciate. Cells can be merged or frozen, grouped or sorted. Each group can be outlined. Clipboard operations - copy and paste are supported together with undo and redo. You can apply auto filling or auto validation on data as well format the data in a variety of formats. Cells can show hyperlinks. Data is the most important part of a spreadsheet and the Java library provides you with various ways to handle data. 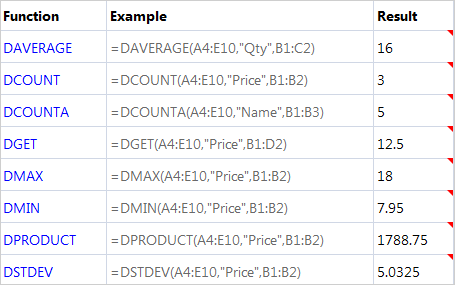 The option for conditional data formatting allows you to highlight visually cells whose data meets a given criteria. Custom functions let you define your own way of calculating a cell's value. The spreadsheet control also includes a set ot predefined functions like sum, max, average work. Date can also be sorted both vertically as well horizontally. 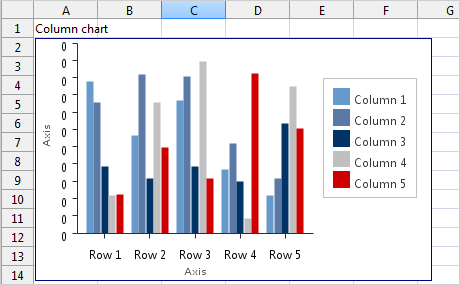 Charts are the perfect addition to any spreadsheet that renders rows or columns with numbers. They clearly present the data to the user in a way that's easy to understand and analyze. With that in mind, we have integrated a variety of charts to the spreadsheet library. There are bar charts, radars, pie, bubble and different line charts. You can customize many of the chart elements, and all their colors and fonts. It is very easy to bind a given cell range to your chosen chart type and let the library automatically generate the end result. A good spreadsheet application should be able to load and save its data and variety of formats and MindFusion Java library takes care of that. With it you can accurately import data from any Microsoft Office Open XML Format, OpenOffice Calc format as well from Comma-separated (SCV) files. When your workbook is ready you can use the available exporters to save it as XLSX files, ODS or PDF files. Images can be exported to bmp, jpeg, gif, tiff and png. 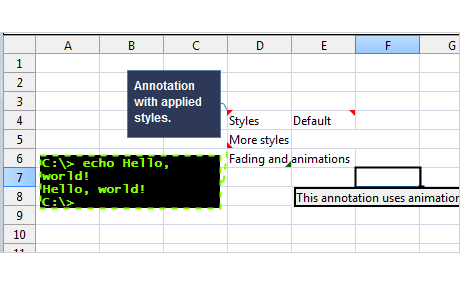 The library provides you with methods to customize any element of the spreadsheet. 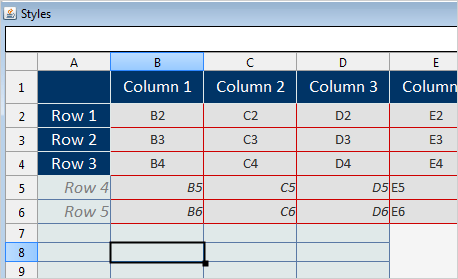 Group cells into ranges and format them as a header with the appropriate background and font options. 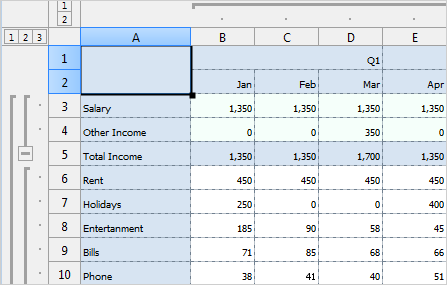 Add borders of your chosen type to any cell on the sheet. Format and align text, customize colors, brushes and strokes - the options are many, the combinations - endless. They provide you with complete control on how your workbook looks.